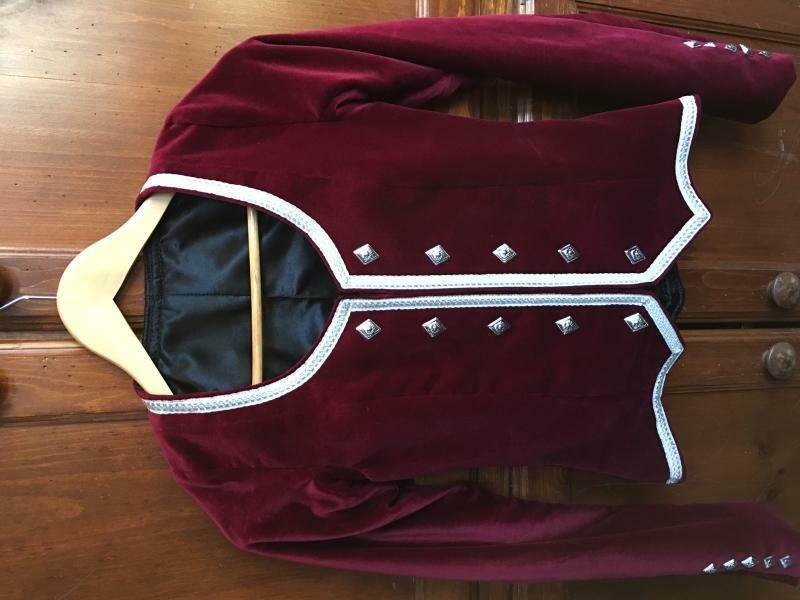 dance.net - Wine colored jacket - never worn (10244300) - Read article: Ballet, Jazz, Modern, Hip Hop, Tap, Irish, Disco, Twirling, Cheer: Photos, Chat, Games, Jobs, Events! 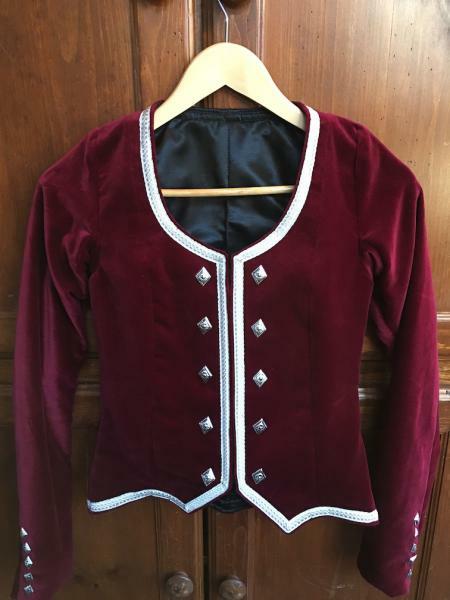 Brand new custom-made wine jacket, never worn, just did not work for my dancer. back of neck to point - 21"
front shoulder to point - 20.5"